This album is probably the most significant Cellar recordings in a long time – in scale and ambition – if not in duration. 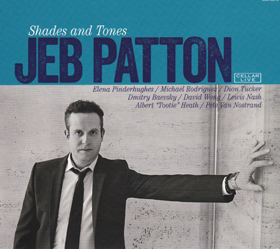 Re-listening (way too many times) the seismic effect of this ensemble with the brilliant Jeb Patton at the helm creates one beautiful piece after another. Patton shapes the music with an architect’s sense of structure and graceful unshowy virtuosity shining out through strong solo contrasts. We can sense new things here too – ‘Make Believe’ is one such wonder of performance – more instances of large orchestral texture devolving into something more intimate especially in when Michael Rodriguez and Elena Pinderhughes play off each other. The resultant sound is just eminently natural and nimbly elegant. The album’s big draw is its cast of musicians. Pinderhughes is a musician whose star is on the rise. She is bristling with talent and has been known to hold her own not only with Patton, but with Steve Turre as well. Bassist David Wong is another rising star. Patton’s boss, Albert ‘Tootie’ Heath also lends a hand on two tracks ad does the ubiquitous Lewis Nash with Pete Van Nostrand filling in the drum chair on four tracks. 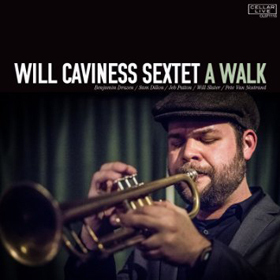 Dion Tucker on trombone and Dimitry Baevsky on alto saxophone complete this wonderful ensemble. It is hard to accept the fact that this recording is not more widely known. It is memorable in every way. The poetry of My Future Just Passed is every bit as exquisite as the Shirley Horn’s performance of the song of the same name that inspired it. Taylor is wonderfully elegant, poised and witty. A huge part of his charm is that he is also big-boned and quite romantic. When he is in his element – as in ‘Eronel’ – he is forthright, lithe and virile. His playing is always magnificent and he gives real character to the melodies he brings to the table imbuing each with a wonderful elegiac quality. The album is introverted and has a dark, moody lyricism throughout. The trio brings to the music a winning sense of athleticism and the unforgettable nature of the music can hardly be beaten. The luxurious and exquisitely dimensional sound reproduction, combined with hand-in-glove musicians and scrupulous attention to detail, makes this a remarkable release, one whose disclosures multiply with repeated listening. 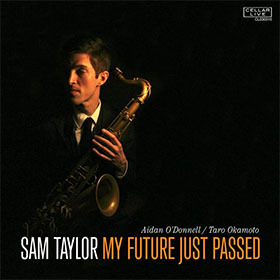 An avowed follower of the mighty bands of Cannonball Adderley, Art Blakey, Horace Silver and (presumably) mid-career Miles Davis, the young trumpeter Will Caviness has surrounded himself with the musical heft of white-hot players such as pianist Jeb Patton, saxophonists Benjamin Drazen and Sam Dillon. These may be names that do not come to mind with as much ease as other New York musicians do, but note them well because they are all going to be forces to reckon with on their instruments. Patton, I believe, has already made one of the finest albums on the Cellar Live imprint and this album is not far behind in terms of craftsmanship. Caviness’ adaptation of the Jazz Messengers mould is quite successful. Here is a case where brass and woodwind alternately console and energise, where performances are finely shaped and beautifully played by all to the extent that each one leaves you breathless. Here is music and music-making in which elegance, dash and lightness of spirit sit side by side with pools of emotional quiet which can haunt the mind for days to come. Neither Caviness nor Cellar Live can do anything wrong, it would seem. 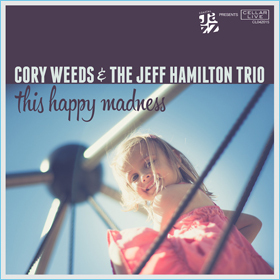 If this ebulliently articulate and raptly communicative performance is anything to go by, it is clear that the union of Jeff Hamilton’s trio and the Cellar Live boss, Cory Weeds is a union made in heaven. The music literally leaps out of the blocks with ‘Blow Your Horn’ and gets more refined as the album progresses. With his immaculate technical address and ravishingly songful, mellow tone, Weeds strikes precisely the right balance between classic strength and private introspection, his contribution as full of radiant spontaneity and tumbling fantasy as one could wish. 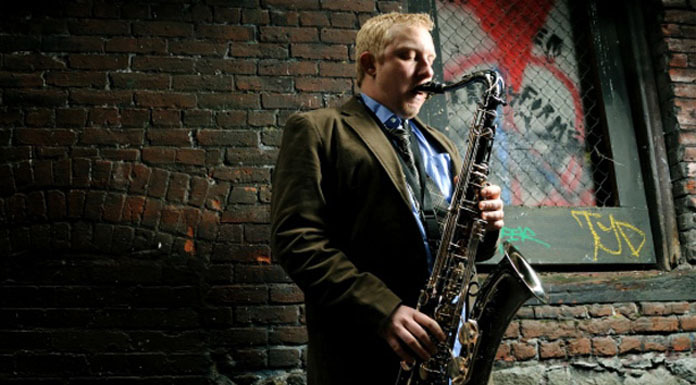 The same holds true for Jeff Hamilton, his scrupulously attentive partner who procures playing of the very highest quality from his own trio of pianist Tamir Hendelman and bassist Christoph Luty. There is suppleness and purpose in every tune and the album combines playing of the highest order that eschews gratuitous virtuosity and hectic flashiness. As for individual songs, I don’t think that I have heard a greater combination of stylish teamwork, sinewy thrust and inevitability rolled into a performance of such riveting poignancy.